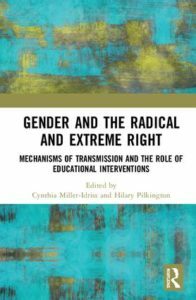 Gender and the Radical and Extreme Right takes up an important and often-overlooked across scholarship on the radical right, gender, and education. These subfields have mostly operated independent of one another, and the scholars and practitioners who attend to educational interventions on the far right rarely address gender directly, while the growing body of scholarship on gender and the far right typically overlooks the issue of educational implications. This edited volume steps into this space, bringing together seven chapters and an afterword to help readers rethink the educational implications of research on gender and the radical right. As a starting point for future dialogue and research across previously disparate subfields, this volume highlights education as one space where such an integration may be seen as a fruitful avenue for further exploration.